Part of living out the Christian life is stewardship. It’s not simply about writing a check to the church. It’s more about how we view the One we serve and how that perspective causes us to live. 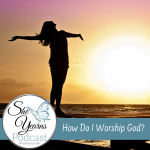 How do we become good stewards in discispleship to Christ? This is the next in the Series, How Do I Do That? that Cheri addesses to help bring clarity to a befuddling question. There is encouragement, here too, as we walk together along this journey. Thanks for coming along! This episode is part of a new series, How Do I Do That? that hopes to meet you in the most basic Christian disciplines. 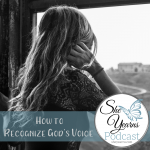 You can now find How to Become a Good Steward and other episodes of the She Yearns Podcast from iTunes, GooglePlay, Stitcher, or SoundCloud. Just click on the links below! As always, you can scroll down and listen right here!